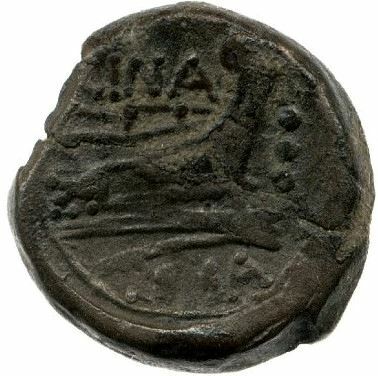 L. Cornelius Cinna was one of the moneyers for the year 169-158 BC. He is perhaps identical to the L. Cornelius Cinna who was Consul in 127 BC. The Cornelii Cinnae flourished from the late second century BC to the early decades of the Empire.